As a car accident lawyer in Albuquerque, I know that proving the facts of a case is a central factor in helping accident victims receive compensation for their injuries. Similarly, understanding key facts and statistics of New Mexico car accidents will shed light on why tragic accidents are all too common in our state. Here are five of the most surprising and revealing statistics related to New Mexico car accidents. Due to New Mexico’s high number of careless and drunk drivers, a car insurance company’s study found that New Mexico’s drivers were the second worst in the US. 2014 statistics from the National Highway Traffic Safety Administration seems to validate these findings. Based on NHTSA data, New Mexico ranked fifth for the most careless driving cases, 12th for speeding and 10th for the most drunk driving arrests. As an Albuquerque car accident attorney, I pursue legal compensation and justice for victims of car accidents caused by negligent New Mexico drivers. When statistics focus exclusively on New Mexico’s drunk driving, it is clear that the state has a major public safety issue on its hands. A 2014 study released by the U.S. Centers for Disease Control and Prevention found that New Mexico’s drinking crisis is unparalleled. The state has experienced more deaths per capita attributed to alcohol than any other state. New Mexico loses 51.2 residents per 100,000 population due to alcohol. Alaska was a distant second at 41.1. Naturally, these findings translate to high rates of drinking and driving accidents. In 2015, 1,037 crashes that led to injuries or loss of life were caused by alcohol. Plenty of the cases I take as an Albuquerque car accident attorney involve victims who were killed or injured by a drunk driver. The New Mexico Department of Transportation’s 2015 Community Report reveal an interesting 5-year trend related to accidents and time of year. Namely, December is the leading month for crashes from 2011-2015. The 5-year average for crashes in December is 3,977 accidents per month. Only October even comes close, with an average of 3,846 accidents per year. December was the most common accident month by a wide margin each year, with the sole exception of 2013. There could be a number of factors involved here, from increased holiday traffic to winter weather. Whatever the reason, it is clear that December is the riskiest time of year for New Mexico car accidents. Given New Mexico’s alcohol issues, one could be forgiven for thinking that drinking and driving is the leading cause of New Mexico accidents. Instead, the most likely human error that contributes to an accident is simply driver inattention. In 2015, 21,894 of the state’s 62,787 crashes caused by human error cited driver inattention as a contributing factor. The second most common factor was actually failing to yield right of way, which contributed to 6,602 crashes in 2015. Finally, young drivers are the most likely age group for getting into New Mexico car accidents. It seems reasonable to suggest that this finding correlates to the data on driver inattention. Young drivers have not spent as much time behind the wheel, making them more prone to mistakes anyway. This reality is compounded when the young driver is distracted, which is far too common. The 20-24 age group found themselves in the most crashes in 2015. 10,124 of the state’s 83,415 drivers in accidents were within that age group. The 15-19, 25-29 and 30-34 age groups were similarly prone to crashes. After the age of 35, however, the number of drivers in accidents declines significantly. On the whole, these five statistics reveal surprising insights into the reality of New Mexico car accidents. If you or a loved one has been injured in one of these accidents, come to my office for a consultation. I am an Albuquerque car accident attorney who can assess the facts of your case to let you know whether you are entitled to compensation for your injuries. If you may be entitled to compensation, I will handle every aspect of your legal claim, providing you with professional legal advice from a trusted car accident lawyer in Albuquerque. 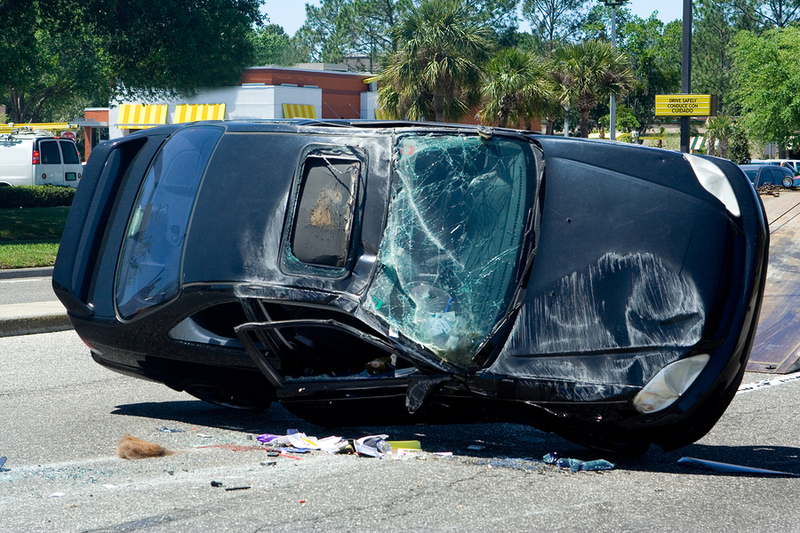 Contact me today for a free, no-obligation consultation to discuss the facts of your New Mexico car accident.